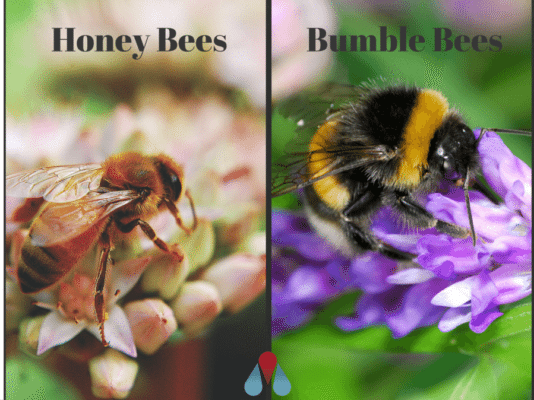 Home / Modern Pest Blog / Bumblebees vs. Honeybees: What Are the Differences? 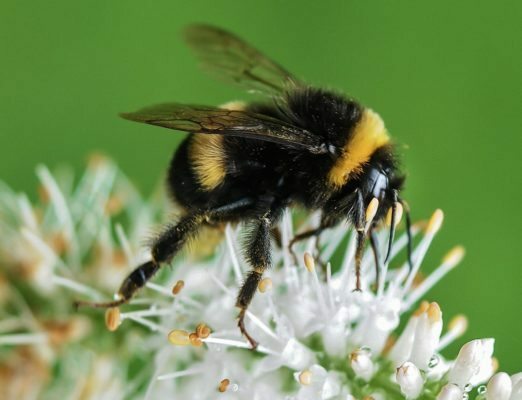 Bumblebees vs. Honeybees: What Are the Differences? Aside from the recent cold snap, the calendar tells me that spring is here. Spring always makes me think of sitting on the porch at my parent’s old farmhouse, and listening to the overwhelming buzz of the bees as they did their work on the rose bushes surrounding it. Now, more than ever, the importance of bees should not be overlooked. Besides the honey that some produce, the pollination of flowers and plants is essential to our food system. They also do a nice job controlling other pesky insects in the area. What’s interesting is that I never really stopped to think about the differences in the bees that were buzzing around the roses. Turns out that there are some substantial differences between the two types of bees found here in Maine, New Hampshire, and Massachusetts. They are pretty easy to differentiate once you know them. Here in New England, there are two main types of bees — the bumblebee and the honey bee. All bees have the ability to swarm and sting, but neither are particularly aggressive. Both will attack if provoked or if they feel they need to defend their nest. Whether you’re looking at bumblebees or honey bees, both are a miracle of nature. They communicate with each other and are extremely social creatures. They make sure that our flora is pollinated and our tea is sweetened. All bees are an important part of the food system and need to be protected. If you do encounter a hive on your property, consider calling a professional at Modern Pest Services, to safely relocate the hive. Keep a respectful distance, don’t disturb their hives, and enjoy the buzz! 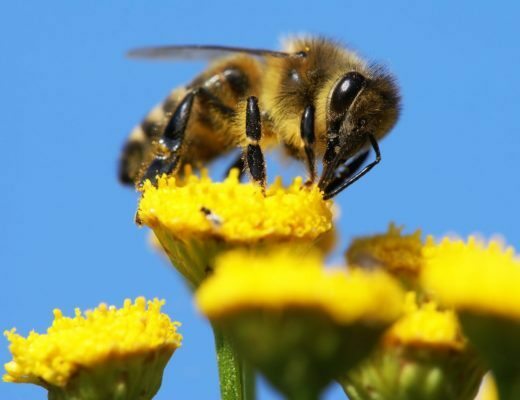 Modern Pest Services recognizes the importance of bees, as a pollinator, to the environment and we share the growing concern about their dwindling numbers. Rest assured, when Modern encounters a beehive where it is not welcome, we work with beekeepers to safely remove the hive for relocation.